I know it's been a while, but I'm planning on getting back into blogging very soon! Kathy is the owner and designer of KP Designs. She has wonderful pieces, each crafted with love! 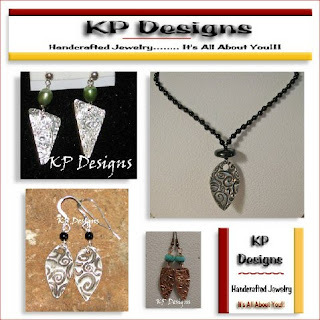 Stop by and see all KP Designs beautiful creations! This week's Share the Love Artist: Creations with Heart! 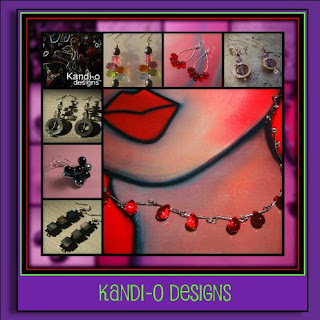 Kandi-o Designs.. creations by Kandace... truly unique and a style of their own! Kandace also has a shop called Cap It! More unique designs for you! 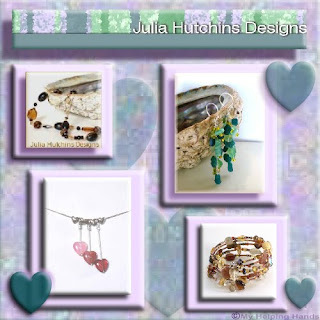 This week's Featured Artisan on Share the Love is Julia Hutchins Designs. Julia creates beautiful treasures! Stop by and see them all! This week's feature is one of those truly rare but extremely talented artists, CJ of GrandDesign. Antique and one-of-a-kind are her specialty! You can find out about her and all of her wonderful creations at http://cjgrand.blogspot.com/. A new week...time for some fun! Sorry for the delay in blog posts--last week I had a very bad cold and could hardly get out of bed. Now I'm almost all better and am ready for some fun! I think it would be fun to share about items you have made or gotten. For all of those handmade artists out there, what is the most fun piece you have made? 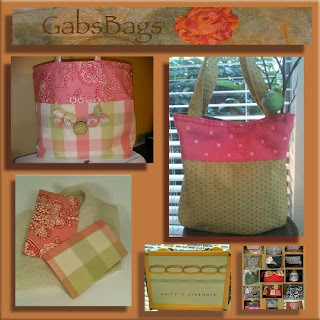 For all of those who love handmade products, what is the most fun piece that you have gotten? And anything else that has to do with fun handmade products, I would love to hear about it!